Tyre review data from 71 tyre reviews averaging 89% over 472,743 miles driven. Sorry, we don't currently have any questions and answers for the Nokian WR A3. Why not submit a question to our tyre experts using the form below! I've driven these tyres for over 42000 km, with this being their second season. Tread depth is currently 5 mm from the original 8 mm so not bad at all, especially considering that they've seen a fair bit of summer and motorway driving. They have been driven across Europe multiple times, and seen much of the Alps during the winter, including wet weather, deep snow, and ice (not recommended for regular ice driving! Use studded tyres for that). I didn't think they would perform so well on account of their relatively large width, but so far they have proven themselves to be remarkably reliable, although having a four wheel drive car also helps, no doubt. Only thing to keep in mind, if driving on the Autobahn, is that they are limited to 200 km/h, but that's hardly a problem I would think. Have you driven on the Nokian WR A3 tyre? 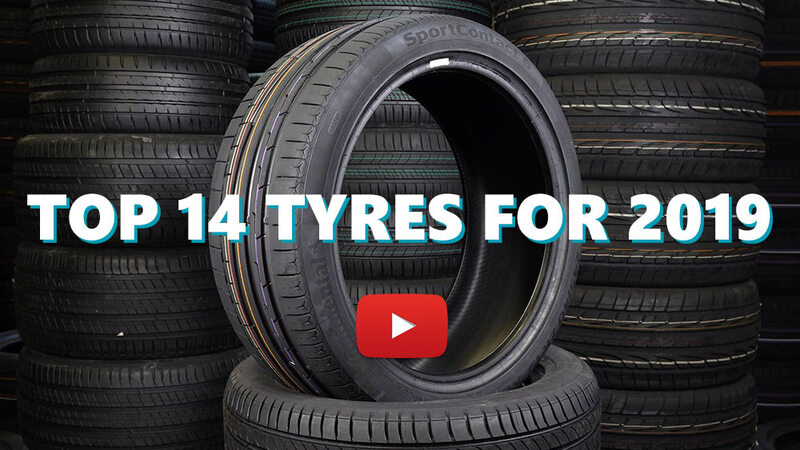 Please help millions of other drivers make an informed tyre choice and pick the correct tyres for their car by submitting your review of the WR A3. As every time when I'm about to buy something, I did some research which winter tyres to buy. I read everywhere that Nokian produces excellent winter tyres so this brand was one of the options and one day I saw a set of these tyres were on sale so I bought them. I really had high hopes for these tyres after reading great reviews, but if I want to summarize my experience with them so far, I would say: these are not winter tyres at all. The comfort is ok, they are very silent, but the grip is just awful. If the road is any but dry, they just don't grip. In the snow they are totally useless and I'm not exaggerating. If you stop in snow, you will most likely not be able to get going. This is really annoying, because my car has really low torque and I am really easy on gas, but it still rolls the wheels without any single sign of grip. I was driving in snow with my Falken Ziex summer tyres and they were so much more confident in snow than these Nokians. Ridiculous. I replaced my 10 year old Hankook Icebears to these Nokians and even those 10 year old tyres were so much better. I could even get going with the Hankooks in snow on a 8-10% slope, with these Nokians it's a miracle if I can move the car on flat surface from a stop. I decided to write this review when this weekend every single car could go up a snowy slope except me. Even a big transporter with worn out winter tyres, it was so annoying. With the Hankooks them being 9 years old, I could cross the High Tatras in snow!! With these I can't go up on a little slope. I even experienced my very first slide with them on a wet road, I was doing 70km/h and the rear of the car just started drifting and I almost ended up in the trench. I'm going to sell them the next day I'm changing to summer tyres. Very very disappointing, I would definitely not buy these again. Bought these tyres in late 2011 after two bad winters and fitted them to a Audi A3 Quattro, followed by an A4 Avant then current Golf GTD Estate. After winter of 2015/16 I decided to leave them on all year as I only do c. 5K miles/annum and got fed up with the wheel changes 2 x per year. They have never encountered deep snow here in Central Scotland but have proven quiet, reassuring and economical as a year round tyre. Late April/Early May this year we did a round trip to Murcia in Spain (though Portsmouth - Santander by ferry) and did 2.5K miles in 19-days. Conditions ranged from torrential rain then 2C and snow in Cantabria mountains to 30C in Costa Calida. The tyres took all in their stride and on return to UK trip computer showed 54mpg average. I know these tyres are no longer made in Finland but would hope the Russian versions will be of similar quality. I will probably need to change them after the next winter due to their age, they will certainly not be worn out, as at service last month they were all 6mm+. If I was to select one particular quality it would be their wet road grip in either cold or warm conditions and resistance to aquaplaning. Highly recommended.